With the consumer age raising faster than ever, the retail industry is being forced to adapt to keep pace with the ever-changing landscape. While there is still a place for the science behind the sales floor layout and visually pleasing merchandising, the digital age is changing the way consumers arrive at their final purchasing decision. Here are a few helpful ways to drive your pro shop sales with the use of social media and Digital Range. Fortunately for us, brands such as Nike, Under Armour, Taylormade, and so on have already invested millions on millions in sponsorships with some of the most likable and popular players on the tour. Golf enthusiast pages have started to pop up around the internet and have managed to gain a lot of traction with thousands of followers, with the simple objective of talking golf and golf equipment. Basic posts that provide the follower with close up shots of new clubs, discussions on the latest trends in the equipment industry, and connecting the equipment to a popular tour player. By using your club’s social media platforms to discuss equipment and players, your posts keep the Pro Shop’s merchandise fresh in the minds of your members which get them that much closer to buying that new tour level driver that the shop just started carrying. As some of our previous blogs have highlighted, micro-content is king and providing your followers with frequent quality content is key to driving views, clicks, and sales. 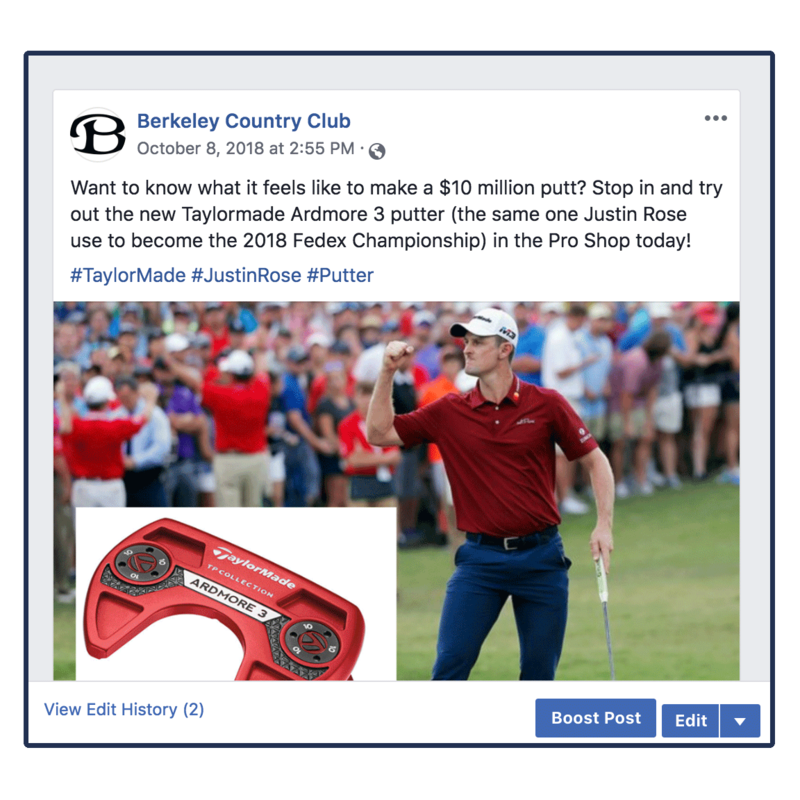 Providing your social media followers with something more than just your run of the mill golf course pictures and generic information is a great way to drive customer interaction and increase your digital footprint. Simple 30-45 second videos with your course pro explaining swing tips/drills, equipment information, and fitting techniques can give your club’s social media pages plenty of useful video content. In addition to providing the viewer with useful tips and tricks, it is easy to integrate information about what equipment and gear is available for sale by the pro shop. The majority of Pro Shop foot traffic is made up of Members and other customers running in and out to check-in for their tee time and maybe grab a new glove and a dozen golf balls for the next round. From a retail perspective, the short time spent inside does not allow for the visual marketing and merchandising strategies to fully take effect as customers do not spend much time working their way around the shop browsing your full inventory of merchandise. 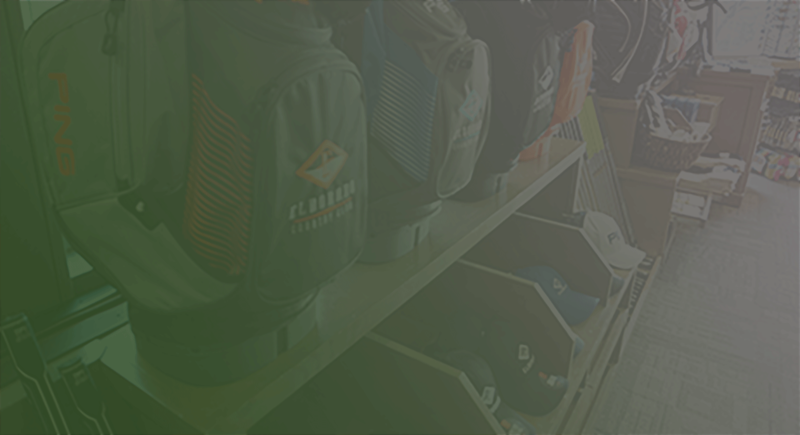 This is where the use of Range Forms can really change and enhance how your customers shop at your Pro Shop by introducing new ways to market to your clients on multiple platforms. 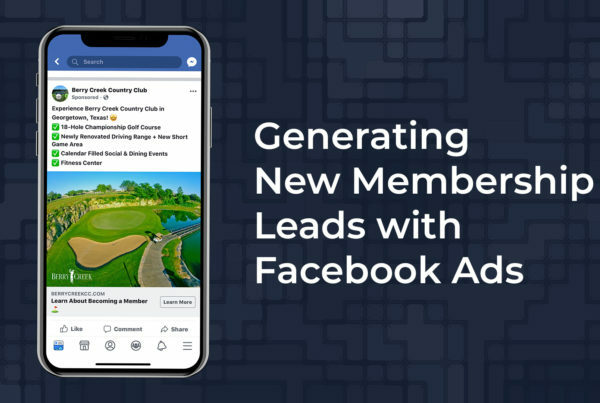 Digital Range Forms is an extremely versatile tool that can be used to boost the online presence of your Pro Shop in both social media ad campaigns and email blasts. These easy to use templates allow you to advertise and sell anything and everything your Pro Shop has to offer without the labor-intensive work of setting up an entire online marketplace. By attaching Range Forms to email blasts and social media ad campaigns you bring the Pro Shop to the customer. This process not only enhances your Members’ purchasing experience but simultaneously boosts your Club’s online presence in the process.